Please read our Resorts Policy carefully regarding rules, booking & payments. Who qualifies for Resort accommodation? Holsboer website: For detailed descriptions and tariffs of Holsboer Resort accommodation throughout the country please visit the Holsboer Vacations Intranet site. 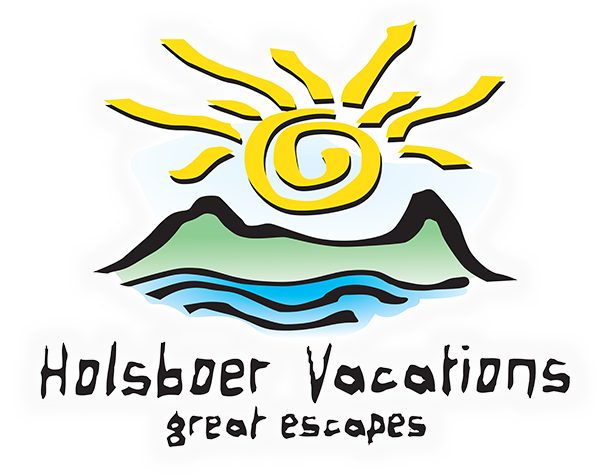 Website and booking requests : For detailed descriptions of Holsboer Resort accommodation throughout the country please visit the Holsboer Vacations Intranet site. Tariffs : Click on Holsboer Vacations and go to the accommodation tariffs tab to see the latest tariffs. Please note that our tariffs increase annually from 1st January. Applying for Resort accommodation : The manual procedure to be followed by anyone wanting to take advantage of the accommodation provided by the Fund is described in the following list. Complete the relative application form, which is accessed through the eforms link. Application forms will be processed and a reservation number sent via fax or email to the main applicant within 5 to 10 working days. Applications received for the following year from 1 January, will be processed to obtain a reservation number and secure your space, however confirmations/payment letters will be held back until new rates for the New Year have been released. If we are fully booked for the dates you require, please complete an application – please ensure you write on the top PLEASE PLACE ON WAITING LIST and send to us. The amended Immigration Act 13 or 2002 requires all hotels, lodges, guest houses and apartments to keep a register of everyone who uses their accommodation. This amendment is aimed at making establishments responsible for the identification of all residents residing in their properties and curbs the provision of accommodation to illegal immigrants. As a traveller you will be required to provide positive identification when checking in and recommend that you take a copy of your ID document with you to be handed to the accommodation provider. Indemnity must be completed and signed by all occupants and sent back together with a copy of the main occupant’s ID. We also require the Birth Certificate of any infants that will be 12 months or younger upon date of check in. Any child older than 12 months upon check in will be deemed as an occupant. Please note no unit keys will be handed over without these documents being received by the resort prior to arrival. When making a booking, the booking must be made in the name of the person who will be checking in at the Resort, positive ID will be required when checking in against the “Main Occupant” details. If the Main Occupant is unable to check in, a name change will need to be made prior to arrival. The amendment fee will apply to any/all main occupant name changes. As of the 01/01/2017 all Nedbank account holders bookings will require a 40 per cent securing deposit that is payable up front. The balance of 60% due will be debited during the month prior to the month of occupation. This will fall on the 20th of the month or the last working day of the month. Please note that we do not permit split payments/debits. If payment is not successful, your booking will be cancelled without further notice and the cancellation fee will apply. Please note that a forced reversal of any debit for a holiday may lead to debt collecting and/ or Nedbank disciplinary proceedings (For Nedbank staff members). If your holiday commences within 30 days from the date the booking is made, the full amount due for the entire stay must be paid by EFT, credit card or Masterpass to secure your booking. We are unable to do a direct debit for payment. Should there not be sufficient funds for the debit on debit date and the debit has to be reversed, a monetary charge of R 250.00 will be imposed on the booking. As of the 12th March 2019 – All Private clients who hold Nedbank accounts will have a refundable breakage deposit of R1000.00 per unit added to their bookings. This will be refunded to your Nedbank account within 7 days of departure less any charges. As of the 12th March 2019 – All Private Pensioners who hold Nedbank accounts will have a refundable breakage deposit of R500.00 per unit added to their bookings. This will be refunded to your Nedbank account within 7 days of departure less any charges. Upon the success of the debit, the Guest Certificate will only be released and forwarded to you. Should you wish to pay via credit card, please note: A secure link will be forwarded to you via email the day your paperwork is processed. Full payment is then required immediately. The link will expire within 24 hours if not used and you will then need to request a new link to be sent to you. In order to carry out the credit card process, we require a copy of the credit card holders ID and front of the credit card. All clients who do not hold a Nedbank account for us to debit must pay a 50% securing deposit upfront either by EFT / Credit card. This will be enforced with all Holsboer Vacations and Easy Holidays bookings for 2016 onwards. Final payment becomes due and payable 30 days prior to arrival date. Your Guest certificate will only be released upon full and final payment. For all clients that hold a Nedbank Current / Savings account. Upon the success of the debit, your Guest Certificate will only be released and forwarded to you. We don’t charge a 40% upfront payment – payment is now received a month prior to occupation for Nedbank account holders. The agreement to make a booking is with Easy Holidays. Easy Holidays are our alliance partner so all bookings made are with Easy Holidays and Easy Holidays Terms and Conditions will apply. All clients that do not have a Nedbank Current or Savings account will have the following added to their booking. The breakage deposit is refundable within 7 days of departure provided that there are no breakages. Guests to please provide the resort manager upon arrival with their account details in order to be credited. It Is the guests responsibility to check the Inventory in the unit on arrival and advise the Resort Manager of any breakages/missing items. Phone/email request through to the booking office. Once availability has been ascertained, a provisional booking will be made. This will only be held for a period of 24 hours. During this time, the application form and proof of 50% payment is to be forwarded by you to the booking office. You will need to ensure that we have received your documentation, this includes, application forms and payments and cancellation notices/requests. A payment letter will be sent to you reflecting the 50% payment and balance required. Upon final payment, a Guest certificate will be sent to you. Please ensure availability is ascertained and that a reservation number is obtained PRIOR to making a payment into our account. We cannot accept responsibility for incorrect payments /and or payments that do not reflect a reservation number as a reference into our account! For clients that do not hold a Nedbank account: For bookings made during the month for the same month, full payment to be received prior to confirmation of the booking being made. Pay immediately and provide proof thereof. Only then will a guest certificate be issued. Guests who request cleaning service for their stay, must please note that this service is compulsory for the full duration of their stay, excluding Sundays and public holidays, but will include the departure date. Should you wish to cancel/amend your Resort booking, please fax or email written request with Occupant, Resort, Reservation number and Occupancy dates to a Holsboer Vacations Administrator - cancellations will only be acted upon when forwarded to us in writing. Cancellation penalties below will apply. The cancellation policy comes into effect immediately once a booking is confirmed (Once a booking is secured / confirmed i.e. reservation number is supplied, paperwork is sent out or the booking remains on the system for longer than 24 Hours). Any amendments to a confirmed booking, a nominal fee of R250 will be charged per booking booked which is payable immediately. (Only accepted up to 6(six) weeks prior to the occupation date. Any cancellation/amendments within 6(six) weeks occupation, the cancellation fee is no longer payable and the client will be liable for the full amount of the booking. For example: Should you go on holiday in July, your account will be debited in June. Should the 20th fall over a weekend or public holiday, the debit date will carry over to the next working day. Should you wish to cancel your booking and the debit date is set for that same month, cancellation emails must be forwarded to us no less than 5 working days prior to the 20th of the month which is the debit date. Failure to send a cancellation instruction in writing will result in your account being debited. In the case of death / illness, please note that a death/medical certificate must be provided for immediate family members (IE: Mother/Father/Siblings/Children) when cancelling your booking. For all block bookings, only the unit that the occupant would be staying in will have the penalty waivered. The Holsboer Board of Trustees have agreed to open the December bookings to Nedbank staff only on 1st November one year prior to arrival, we work on a first come first serve basis. The bookings will then be open to all guests on 1st December each year. Please note that Nedbank Staff are allowed to book a 2nd unit for a family member, however you need to have booked and secured your unit first. As at 1 April 2018 all Pensioners travelling to our Cape Resorts will qualify for pensioner rates outside of school holidays for a maximum of 14 nights. Should a Pensioner wish to stay longer than 14 nights the remainder of the booking will be charged at full rate. This will apply to all new bookings made from the 1 April 2018. Pensioner rates at all Resorts will be reviewed yearly. Please note the following: All school holidays and Easter Weekend - In Season Rates will apply. Weekends need to be a minimum 4 night stay. All Nedbank pensioners qualify for a 50% discount at our Kwa-Zulu Natal resorts during out of season periods (excluding weekends and long weekends which will be charged at normal rates). This is subject to an annual review and decision by the Board of Trustees. No discount is given during peak season or Easter Weekend. Full rate applies for long weekends (Friday or Monday is a Public holiday). Holsboer Vacations will not be taking any Rage bookings in 2019 at any of our Holsboer owned resorts. 1). Rage students will only be permitted to book at Ocean Villa Resort. Any occupant booking at Ocean Villa during the Rage, will be required to pay double the out of season rate per unit (Rage rate) and Rage breakage deposit of R 4,000.00 per unit will be charged. All Nedbank account holders will be required to pay Rage breakage deposit. 2). Should any matriculants be booked for Rage at Hyde Park, regardless of whether the booking is in an adults name and the adult intends to stays at Hyde Park for the duration of their stay, the booking will be moved to Ocean Villa if there is availability, if no availability it will be cancelled. Should the guests arrive at the resort they will not be checked in and no money will be refunded. 3). Stricter rules and higher penalties will be in place for the Rage period; these rules are to be accepted and signed for, when making a booking. 4). No other Holsboer Resort will be considered at this time for Rage, this is subject to change year on year. This ruling is endorsed by the Board of Trustees. Number of occupants: The number of persons occupying a particular unit may not exceed the number that can be accommodated by beds within the unit. Guest Certificate document , indemnity form together with positive ID must be presented to Resort Manager upon arrival. As of the 01st April 2019 all children over 12 months are deemed as an occupant. Therefore, a cot upon request will be provided. Should the applicant decide to leave as a consequence of this ruling, he/she will remain liable for full payment of the tariff. Resort Managers are authorised to request visitors of occupants to leave the premises if the following visiting hours are not adhered to. *Special permission needs to be obtained for the Resort Management for extended visiting. A R200.00 penalty will be imposed on any late arrivals where no special arrangements have been made. An amount of R100.00 per hour is levied for every hour the unit is occupied after the set departure time. A R500.00 penalty will also be imposed for any late departures where no special arrangements have been made. An applicant is responsible for providing beach towels for own use. However, bathroom towels and bed linen are provided at all Resorts. Depending on Sundays and public holidays, towels and bed linen may not be changed before the third working day. We trust that this offering will assist you and your family to have an even more enjoyable holiday. Clients are requested not to bring their own smart cards to the resort as our systems have been pre-set. Should the settings to the TV set be changed by you, a penalty fee upon Resort managers’ discretion will be imposed. By making a booking it is accepted that you have read these terms and conditions and agreed thereto. Each client agrees to and understands all terms, rules and conditions. Up until recently, we had a ruling in place that clients could book up to 2 years in advance. A decision has been reached that we will now only accept application forms being received one year in advance. This is to ensure a more timeous and efficient client service from our side, Application forms that have already been received and placed onto the system will not be affected due to the new ruling. This will be effective 01/07/2013. In order to maintain uniformity in respect of crockery, glassware, etc., provided in the units, any breakage, loss or damage to utensils etc, should not be replaced by the occupant personally. A replacement will be arranged by the Resort Manager and the occupant will be debited with the cost thereof or have the breakage deposit deducted for the rand value of the item that was broken or damaged. Cleaning staff must be allowed access at all reasonable times. Under no circumstances may cleaners be requested not to carry out their duties. Holsboer Vacations Resorts reserve the right to amend the unit number based on operational requirements. Unit numbers will be issued on arrival. Smoking in the units is prohibited. Smoking will result in a R500.00 penalty fee being charged per offense. The use of Hubbly bubblies and smoking of cannabis is not permitted at any Holsboer Resorts. The number of visitors cannot exceed the total number of occupants in each unit. Use of incense in the units is prohibited. A R500.00 penalty fee will be charged per offense. Should guests wish to split the stay between themselves and a friend, they need to go and “check out” with the Resort Manager. The friend then needs to check in and re-sign the indemnity. Keys are not to be swapped without the knowledge and /or consent of the resort manager and all documentation pertaining to indemnities etc has been signed. Overcrowding is not permitted. There will be a R1000.00 penalty for overcrowding per person per night. Should guests be caught copying the beach gate key and handing to their friends, you will as a minimum be evicted from the resort and no refund for the booking will be made. If a client is a Nedbank staff member and leaves the employ of Nedbank, it is the client’s responsibility to update contact details with us. The confirmed booking will remain in place, unless cancelled with us. Should a booking be paid for with a credit card – a Guest certificate will be sent out on receipt of a “successful” notification from our credit card system. If however, for any reason the payment does not reflect in our account, the client is fully liable for the booking and will have to settle the amount immediately. Should a client not ensure that sufficient funds for the debit are available on debit date and the debit has to be reversed, a monetary charge of R250.00 will be imposed on the booking. Inclement weather is not a valid reason for any cancellation or refund irrespective of cancellation or notice period. Noise nuisance levels if not adhered to will result in a minimum monetary fine of R500.00 subject to manager's discretion. No bookings are to be made C/O (Care of). If your account is to be debited, then you are to be the main occupant. You may not have your Nedbank account debited on behalf of someone else’s booking. All bookings are to be paid for in full prior to arrival – including all last minute made bookings. We do not take bookings longer than 6 weeks. Failure to wash the dishes before vacating the premises. Scratching or otherwise damaging the furniture. Cut off time for same day bookings is strictly 09:00 a.m. It is the staff member / guests responsibility to ensure that they agree to the inventory list of the unit, should anything be missing or broken, they are to immediately advise the Resort Manager. On departure the unit will be inspected for any loss / damages / breakages. The resorts do not carry cash due to a security risk. Therefore, all payments for bookings must be made at least 1 month prior to the month of check in date.